The Earth may collide with Planet Nibiru. Earth’s magnetic polarity may suddenly reverse, crushing us all to smithereens. A giant, unforeseen asteroid will strike the Earth. There will be a planetary or galactic alignment that will somehow overload the Earth with, uh, gravity… cosmic rays… dark matter… and… um… sheer awesomeness? 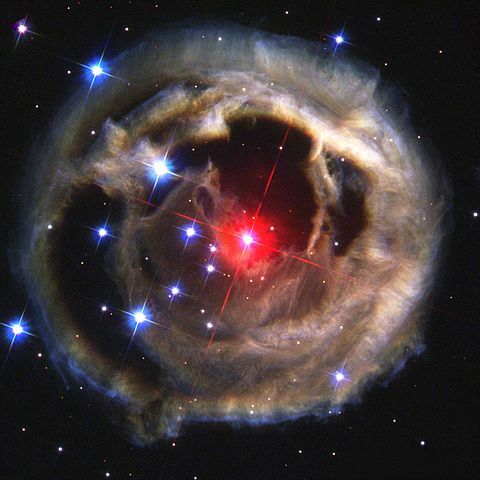 Though purported as planet Nibiru, this is actually the star V838 Monocerotis, and it won’t collide with Earth. There is no evidence that Nibiru exists, and if it did, astronomers would have been well aware of its destructive trajectory for over a decade. Geomagnetic shifts — reversals in Earth’s polarity — actually do take place every 400,000 years or so, but they are quite harmless to planetary life and occur over thousands of years, not in one, supposedly bone-crunching moment. No asteroids are slated to pose a risk to Earth until 2020, and that asteroid — 2012 TC4 — has a 1 in 43,000 chance of impacting our planet. And astronomical alignments aren’t remotely menacing, only tacitly fascinating to astronomers. But while we may be in the clear this year, it’s certainly not too early to be worrying about the next cataclysm that almost certainly won’t happen! Calamitous portents abound over the coming decades, but I’d like to gloss over those fantastical predictions from zany whack jobs and focus solely on the forecast provided by one Sir Isaac Newton. After all, he was correct about gravity, the laws of motion, and the spectrum of white light — heck — why not about the end of the world? 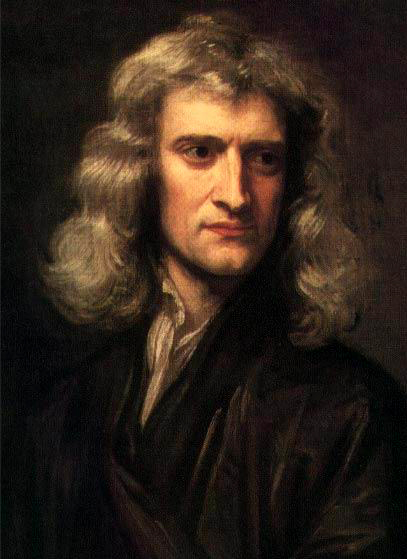 Contrary to what you might think, Newton was not always the supreme rationalist that we’ve come to revere. He actually wrote more about theology and alchemy than science and math combined. Newton voraciously sought out patterns and hidden codes within the Bible and other holy texts, with the same dedication he lent to inventing calculus. After much reading and surprisingly simple calculation, Newton arrived at a date for the end of the world as we know it: 2060. Luckily for us, he didn’t mean “end” in a literal sense. He picked 2060 as the approximate date that Christ would return and establish a global kingdom of peace. Of course if Newton’s prediction comes to pass, we might have to endure the great battle of Armageddon first, which probably won’t be too pleasant.